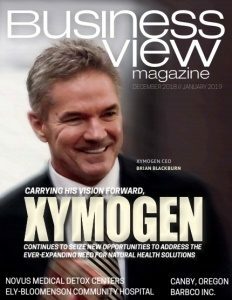 Business View interviews representatives from Redbird Carriers, for our focus on Leading Transportation and Logistics Companies in America. Established in 1977, Redbird Carriers specializes in intermodal trucking – moving freight in trailers and containers between railroads, ports, consignees, and shippers. Redbird is the largest intermodal carrier in the St. Louis, Missouri area and has offices in most major U.S. cities with rail hubs. The company maintains total compliance with federal, state, county, and local laws while conducting the intermodal transportation of all commodities. Redbird Carriers’ mission is to be recognized as a premium transportation service provider. They are committed to supporting their clients’ requirements by delivering cost effective, reliable service with trust and integrity, while sustaining a rewarding work environment for their greatest assets: their employees, owner-operators, and agents. 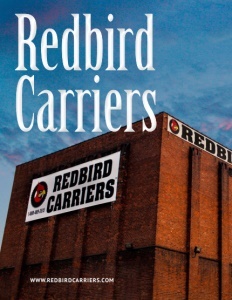 Mark E. Belew, Chairman and Owner of Redbird Carriers, started the company in 1977 and it has grown every year since. There are now 23 offices nationwide, including the headquarters in St. Louis. A few are company stores with W2 employees and others are agency locations for Redbird. Three years ago, the company did a $4 million, 6-acre terminal expansion at the St. Louis headquarters. In addition, they have company stores in Kansas City, Charlotte, Memphis, and north New Jersey. All the rest are independent agency locations. 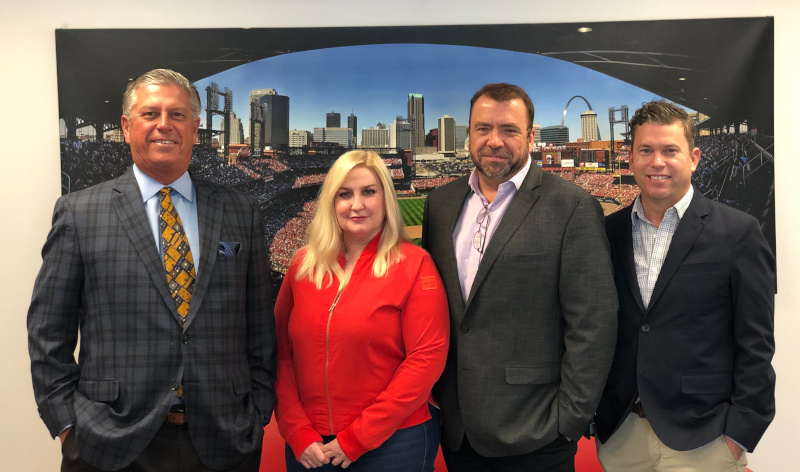 Top level management have over 50 years at Redbird between them and include Dack Ledbetter (President), Jennifer Hayes (VP-Administration) and Brian Hayes (VP-Operations). 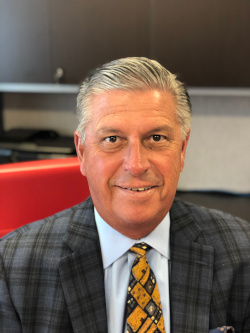 David Beasley joined Redbird a few years ago as VP-Business Development and has 35 years’ experience with The Hub Group under his belt. Technology needs for intermodal carriers have changed significantly in the last couple years. In the past, shippers were satisfied on getting updates only when the shipment was placed on a railcar, when it passed the railcar scanner point, and when it unloaded on the other side. Today, every order is monitored and traced from door to door and intermodal shippers are demanding. In 2015, Redbird took the approach of implementing the Federal E-log solution, prior to its mandated date of Dec. 2017. Company President Dack Ledbetter reports, “We knew the solution would need to provide a breadcrumb trail of drivers and transit, and we had to be willing to share that information with our operations system provider. Once that was in place, we were able to take that info from the E-log system and provide real-time updates to our dispatch team. This enabled us to better serve our customers, our drivers, and the public in many facets. These include: safety, on-time performance, and driver wait time. In the beginning of 2017, larger IMCs (Intermodal Marketing Companies) were coming out with their own version of apps they wanted drivers to log into and update. Redbird recognized this as a problem for their owner-operator base because drivers would have to learn several apps to update the many IMCs they service. Redbird’s operating system already had an app tailored to over-the-road shipments, but not intermodal. So they met with their provider and laid out the needs for an app with functions that could satisfy all customers. This solution has been in full use for a year, and is not only meeting customer requirements, but making it easier for drivers by simplifying the process down to one single app. Check out this handpicked feature on The Stark Area Regional Transit Authority – Safe, responsive, and dependable. TLS provides web-based software applications to help you reduce costs, increase productivity and build stronger customer relationships all while making your life easier. We offer an application that you can “tailor” to your needs. We provide solutions for truckload carriers, LTL carriers, Intermodal drayage, and brokering. For more information call 630-887-4470 or click www.TailoredLogistics.com.